Steve Balmer, Microsoft CEO, has been quoted saying Project Natal would be the Most exciting and potentially groundbreaking product Microsoft would deliver this year. Now, if you’re like me and have been following recent development of natural user interfaces, you’re quite optimistic about the future of those new technologies. For instance, watch how Johnny Lee was about to hack a wii remote control (basically, using its infra-red sensor) to create a Low-Cost Multi-touch Whiteboard and a Head Tracking for Desktop Virtual Reality Displays. Those are inexpensive gadgets opening up an whole new set of scenarios. I don’t know if project Natal itself is going to be the X-Mas hit Steve Balmer would like it to be, but for me it’s a definite step in the direction of more natural user interfaces. It’s a bold move: it’s not introducing a new pen, mouse or remote control, it’s using your body as the interface! 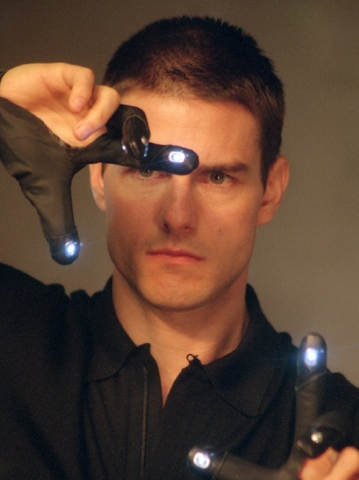 So Minority Report – type user interfaces might not be so far after all!